Your Solution for a Healthy Home. Stay toasty and comfortable this winter—and cool this summer—with heating and cooling services from Hendrickson HVAC. We provide expert heating and cooling solutions in Vancouver, WA and the surrounding areas. We’ve been keeping our friends and neighbors comfortable since 2004! Your house could be stealing money from you!! Many homes are leaking air that you have paid to heat/cool, Hendrickson Hvac’s trained consultants will present you with a thermal view of the climate inside your home, accompanied with a solution best suited for you. 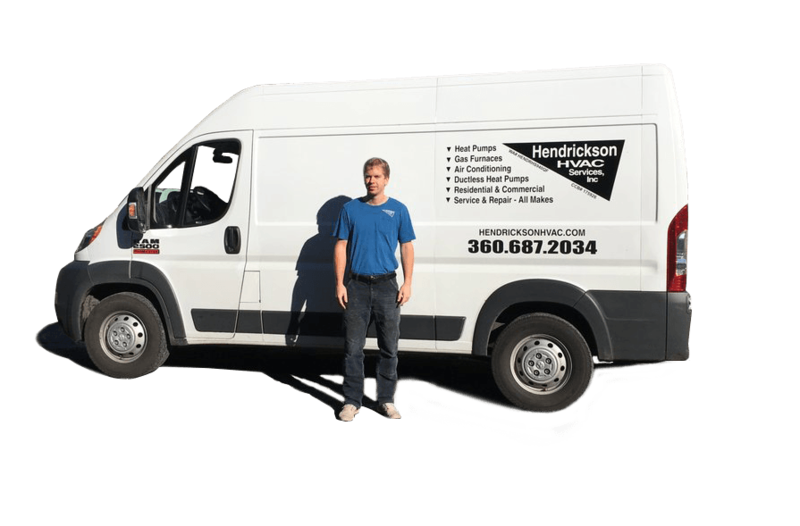 Hendrickson HVAC Services is one of the premier hvac repair companies serving Vancouver, WA. We’re a family-owned and operated business serving both commercial and residential clients. Whether you need a new heat pump or emergency AC repairs, we are here for you. A/C, Heating, and Service Pros that Treat You Like Family! 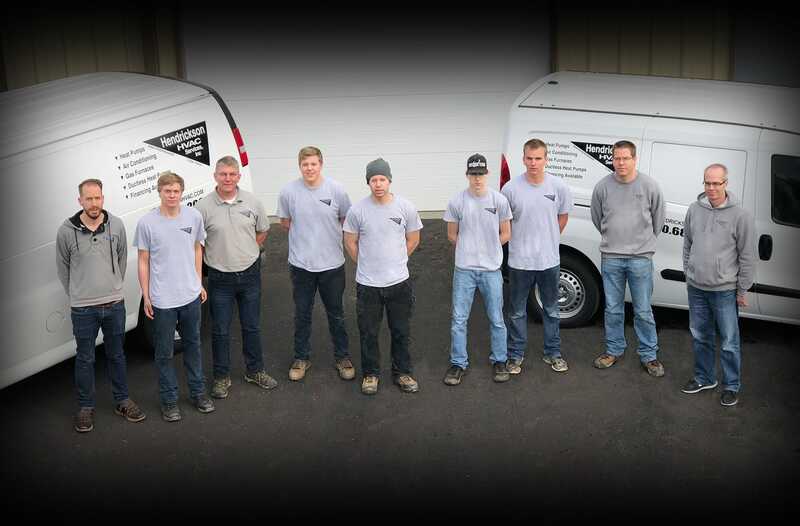 Hendrickson HVAC is an innovative heating and cooling company located in Battle Ground, Washington with progressive ideas and old fashion quality and values. Each installation receives the personal attention of our highly trained technicians, from gas furnaces to air source heat pumps. We understand that each and every installation requires special attention and we treat each installation as though it were for one of our own family’s comfort. Our focus is to provide both businesses and families located in the Pacific Northwest with high quality, affordable, HVAC systems. We do that by evaluating your entire home heating and air conditioning system, as well as the environmental and physical factors that can affect the comfort level of your house. Our all-inclusive approach lets us devise an optimal plan for your home that won’t break your budget. This results in cost-effective solutions that make your house worth coming home to. Choose Hendrickson HVAC as your premier provider of heating and air conditioning services in Battle Ground, WA. Whether you’re looking to update your heating system or repair your air conditioner, we have the resources and experience to help. As an experienced HVAC contractor, we use only the most dependable parts and equipment. Call Hendrickson HVAC Services today. We’re a reputable HVAC contractor that offers free estimates to all customers in the Southwest Washington area. We needed air conditioning and a new furnace. They came recommended from a friend, whose opinion we respect even more after our experience with them. They were timely, professional, responsive, personable and thorough. They went above and beyond what we had requested and continue to follow up with us after the installation. We couldn’t be happier and highly recommend them. This weekend will near 100 degrees….and my air conditioner broke 🙁 I called Hendrickson HVAC and I was totally stoked that they were able to get me in THE SAME DAY!!! Other places that I called were booked until next week. Brandt came today and fixed my a/c within an hour. Now I won’t die this weekend. He was very friendly and worked fast. Their prices were lower than other companies that I called and their customer service was way better than everyone else. Everyone I spoke with was super friendly and happy to help me. Thank you for saving me from heat stroke, guys! Eric with Hendrickson fought with the manufacturer of our AC unit to provide a new coil and provide payment for part of the labor to replace it. Our unit is 5 years old and has a corroded copper coil for the second time in two years. It was very costly to repair the first time and was just out of warranty. The replacement was also out of warranty but Eric wasn’t satisfied with having us spend the same amount again to replace it. It’s refreshing to feel like we have been taken care of by a company that could have easily taken the “it’s not our fault” road and charged us again. Eric was professional, and above all honest. We will use their service for all future repairs and replacements to our furnace and AC unit. !